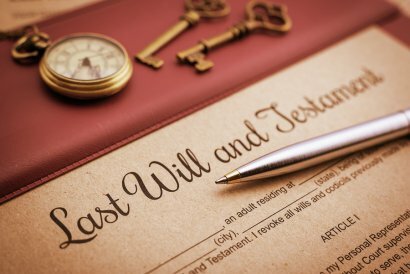 When most people think of wills and estate planning, they think of money and real estate, but in reality, some of the most contested items may be things of sentimental value. Your will lawyer in Tracy can help you decide the best way to give away sentimental items when you prepare your will. For some people, it makes sense to give away sentimental items now, rather than allowing them to be distributed after your death. You get to see people enjoy the gifts, and you can prevent any squabbling between relatives. You may also find out that what people are sentimental about it not what you think. If your will lawyer suggests putting items in the will instead, he or she will encourage you to be as specific as possible. For instance, simply saying that all of your belongings go to your children leaves the door open for disputes over who gets which belongings. 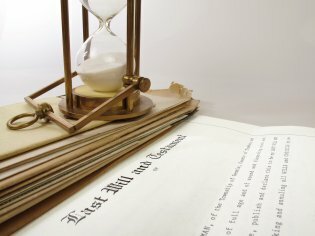 Your attorney may also help you create a framework for settling disputes, such as setting up a bidding system your heirs can use if more than one person is adamant about getting an item. An advance directive does not deal with your finances, but it’s still an important component of estate planning . When it’s time to visit an estate planning attorney located in Tracy or Manteca, you can have him or her create your advance directive along with your last will and testament. This legal document informs your family members and healthcare providers of your healthcare preferences in the event that you are no longer capable of communicating these preferences. In an advance directive, your attorney could explain that you prefer to accept or refuse life-extending medical care. Use this document to specify your preferences regarding tube feeding, artificial respiration, and dialysis. If your heart rate or breathing stops, medical providers will need to know if you want to be resuscitated. If not, this is often referred to as a DNR, or a do not resuscitate order. Along with your advance directive, consider establishing a durable power of attorney for healthcare. This is a legal document that designates a healthcare proxy, which is a person whom you entrust to make healthcare decisions on your behalf if you are no longer able to. Your healthcare proxy will follow any preferences specified in your advance directive. What Are the Components of a Complete Estate Plan? 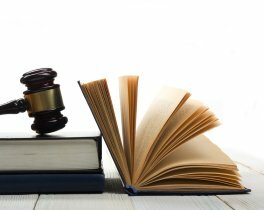 Estate planning can be complicated, but delaying getting your affairs in order may lead to undesirable consequences. If you’ve experienced a change in life circumstances, such as the birth of a child, a marriage, or the death of a family member, it’s time to make an appointment with a will lawyer with offices in Tracy or Livermore. Your estate planning attorney will walk you through the process step-by-step. 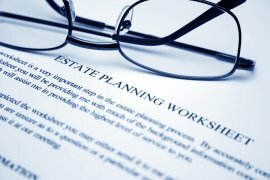 Wills are a cornerstone of estate planning. A will serves several functions, including providing for the distribution of your property in accordance with your wishes. If you die intestate, which means without a last will and testament, then your property may be distributed in accordance with the laws of your state. Of course, it is not necessary to list every valuable item you own in your will. A simple will may leave all of a person’s possessions to his or her significant other. Or, you may designate most of your possessions to one person, with the exception of certain family heirlooms to be passed along to other individuals. You can also use your will to make charitable contributions and designate an executor. If you have minor children or you care for a permanently disabled individual, you can use your will to designate guardians . You may have other beneficiaries in addition to those you name in your will. If you have a life insurance policy, you should check your designated beneficiaries and update this information if need be. You may also designate beneficiaries for your retirement plans. You may choose to have your estate planning attorney establish a trust, which may provide tax advantages for your heirs. You can also use a trust to control the distribution of property after your death. For example, you may wish to leave assets to your minor children, but you may not necessarily want them to have access to the funds right away. You could structure your trust so that your children will receive a certain amount at specific intervals. A trust can help prevent financial irresponsibility among younger beneficiaries.